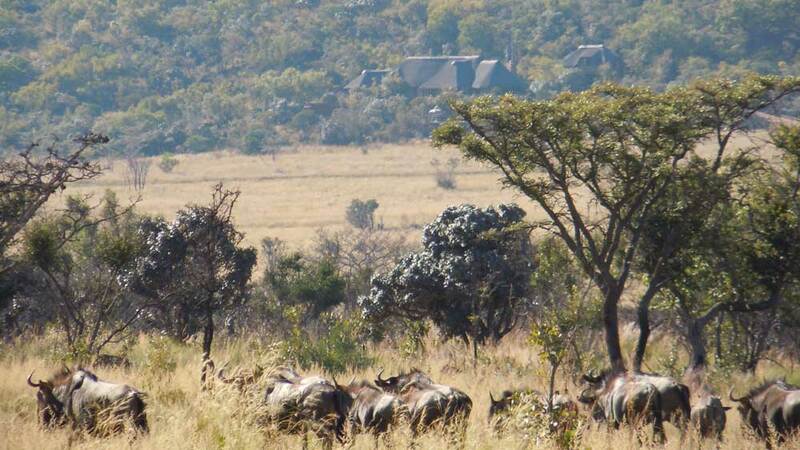 Kololo Game Reserve is a deluxe four-star lodge situated in the vast and varied terrain of the Waterberg Biosphere Reserve. With direct access onto neighbouring Welgevonden Game Reserve, this 3000 hectare private reserve offers superb value, quality accommodation and varied wildlife experiences. 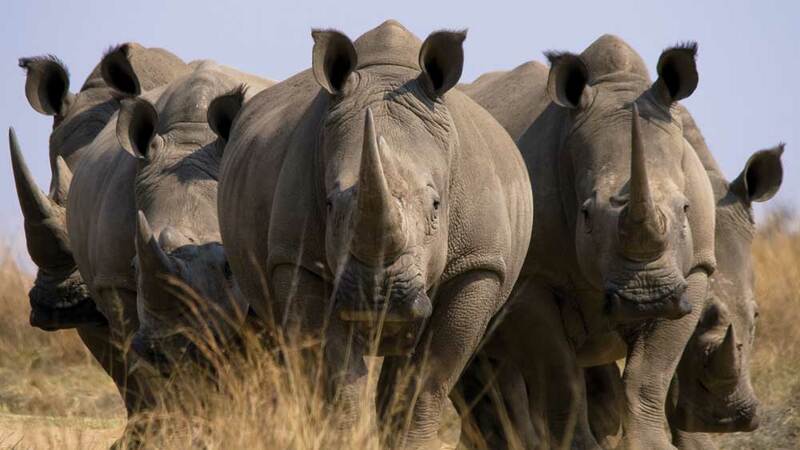 Enjoy plains game on Kololo private reserve by vehicle, on foot or mountain bike as well as ‘big five’ game viewing in Welgevonden. Versatile, affordable yet always of impeccable quality, Kololo’s range of accommodation options suits all budgets: the comfortable simplicity of the tented camp, luxury chalets ideal for honeymooners, a wheelchair accessible suite, family friendly 3 bed-roomed villas and the 2 bed-roomed Oom Piet homestead which offers a character historical home-from-home. Premier option: 3 and 2 bedroomed Kings and Queens suites with private pool. Guests rendezvous for meals and relaxation in the restaurant, lounges, upper level bar and decked swimming pool of Kololo’s distinctive double-story main area with its great views across the open plains of Welgevonden. Kololo is one of the four “Pearls of Limpopo” – The circuit includes Leshiba Wilderness, Mopane Bush Lodge and Madi a Thavha Mountain Lodge. Benefit from a 10% circuit discount when booking all four properties in combination. Value and versatility Kololo’s flexible range of accommodation suits all budgets. ‘Best of both worlds’ with easy access to ‘big five’ game viewing plus a ‘safe’ wildlife zone for independent or guided exploration on foot or cycle. Much consideration has been given to all facilities in the Kudu chalet to make Kololo a top wheelchair friendly safari destination. Fair Trade Malaria Free game viewing in the Welgevonden, combined with the multi faceted Fair Trade Spier Estate in Stellenbosch. 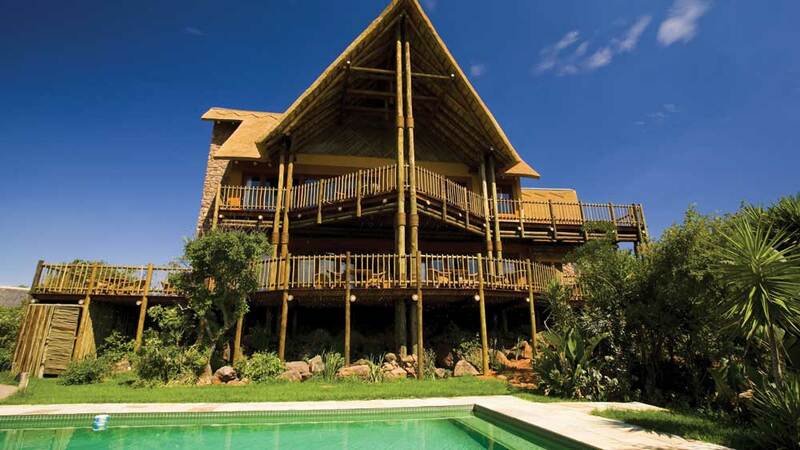 Affordable bush and beach: luxury chalets at Kololo with the Welgevonden game experience – mix. with your Mauritian hotel of choice. Malaria-free safari at Kololo plus Cape Town: Kololo Kings’ and Queens’ villas provide 5 rooms and a private pool. Add the stylish tranquility of the premier 8 bedroomed Crowned Eagle Villa at Monkey Valley as base-camp for exploring the Cape. Family-owned Kololo Game Reserve and its team of employees are strongly committed to capacity building and social development. Initiatives include support for a school bursary, an educational programme and an orphans’ assistance programme operated by the local Waterberg Welfare Society (WWS). Kololo are active participants in the Waterberg Conservancy, the National Working for Water initiative and have launched the ‘Friends of Kololo Plant a Tree’ programme replacing eradicated alien plants with indigenous trees. Dutch born owners of Kololo Game Reserve, Ton and Yvonne Jansen and daughter Kirsten Jansen demonstrate a genuine, ongoing and proactive commitment to the wellbeing and development of the people that are employed by them and the area that surrounds them. We have just returned from one month in South Africa, and had the fortune of staying in various game lodges, whilst on our travels. Kololo Game Reserve ranks as one of the best we stayed in. It was the only lodge that gave me the feeling, this is how I thought it would be ! !